Charles Sturt University’s (CSU) Vice-Chancellor Professor Andrew Vann will showcase the University’s progress with the installation of the next part of its expansive rooftop solar energy program on Friday 12 April at CSU in Orange. 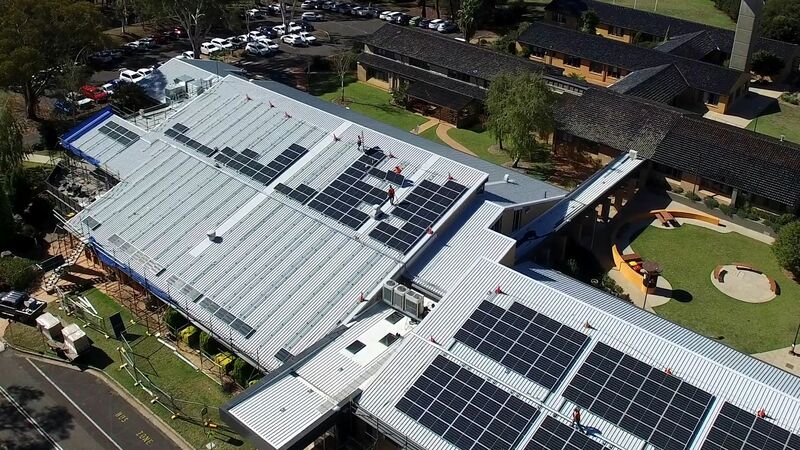 The solar program installations are set to make Charles Sturt University more than $700,000 better off each year while continuing to reduce the institution’s carbon footprint. “The University has decided to build on its nationally certified carbon neutrality by going down the path of clean energy,” Professor Vann said. “We recognise that climate change remains one of the single greatest environmental and social challenges that we face and we will continue to create change in our regions to address these challenges. Professor Vann will also launch the University’s Sustainability Statement on Friday 12 April to publicly declare the University’s commitment to ‘green’ and sustainable initiatives. Professor Vann said the Statement was a significant milestone in CSU’s commitment to best practice in sustainability, including carbon neutrality, further demonstrated by CSU’s investment in the solar panel program. “The Sustainability Statement builds a sustainability mindset to inform our decision-making and embed sustainability within the fabric of the University - within our practices, actions and life beyond the University,” Professor Vann said. The Statement highlights the University’s commitment to incorporate sustainability into its actions and practices as part of its responsibility to the community and the environment. “We strive to embed sustainability practices in all we do,” Professor Vann said. “The solar program is a great example of sustainability being practical and financially responsible, as well having a significant and critical positive impact on the environment. The solar program is being completed in two stages. The first stage was finished in 2017 in Wagga Wagga and it is rated at 1.7 megawatts of power. The second stage is currently well under way and is rated at 2.6 MW of solar power across the University’s Albury-Wodonga, Bathurst, Dubbo and Orange campuses. It is due for completion by December this year. “The combined systems from all campuses could power over 1,000 houses each year, enough for a small town,” said Mr Ed Maher, Manager of CSU Green, the University’s program and business area aimed at driving forward CSU’s commitment to creating a sustainable future for all. “This solar-generated power is being used for anything that requires electricity across our campuses, firstly in the building where the power was first produced, then elsewhere on campus, and then even off-campus into the grid if we produce electricity surplus to our needs. “They are significant savings. We currently spend more than $5 million each year on all our energy use, including gas so it is important from a financial sustainability perspective that we take active steps to reduce these costs. “While the two phases have cost more than $7.5 million to date, we are looking to be over $700,000 per year better off,” Mr Maher said. CSU history in sustainable development dates back to commencement of development of Thurgoona ‘greenfields’ site in 1995. In 2007 CSU became a signatory to the Talloires Declaration. Since 2013, CSU has adopted the Learning in Future Environments (LiFE) index as the framework for benchmarking, evaluating and identifying areas for improvement to shape CSU’s sustainability action plan. In 2016, CSU become Australia’s first certified carbon neutral University. 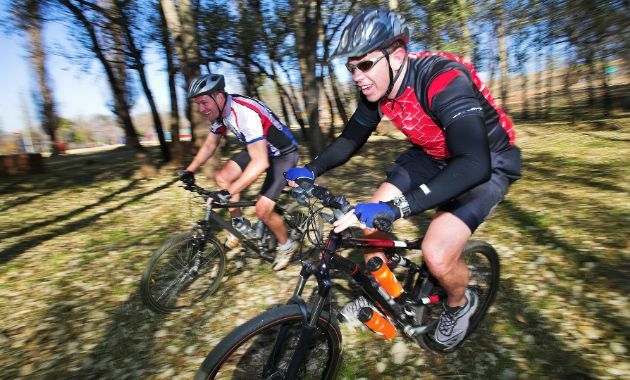 CSU has subscribed to the United Nations Sustainable Development Goals. At a national level, CSU is an active member of Australian Campuses Towards Sustainability. These programs inform CSU’s sustainability practice and provides the framework to measure the outputs of the University’s sustainability activities. Media are invited to attend the event to hear from Vice-Chancellor Andrew Vann regarding the solar program and sustainability statement at CSU in Orange at 10am Friday 12 April outside Building 1000. In the event of inclement weather please contact CSU Media for the alternative location. High quality drone footage showcasing CSU’s rooftop solar energy systems is available on request.